"I received a detailed and informative explanation of my ct scan. The report was available earlier than stated which was appreciated. My questions were answered promptly and I will now act on the information given. I used this service recently for another scan and have been further impressed by the service given. 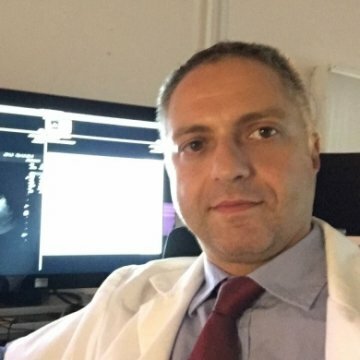 I fully recommend this Dr."
I have a completed a fellowship in chest radiology (cardiac and pulmonary radiology), but am also highly experienced in abdominal radiology and breast imaging. My experience includes Leiden University Medical Center, a large community hospital in the Netherlands. I'm currently working as a consultant radiologist on Aruba. My thesis was focused on the "Optimal Timing of Pulmonary Valve Replacement in Tetralogy of Fallot". Fast, clear and thorough feedback on X-ray pictures with suggestion of what further exams might diagnose a suspected disease. I received a very comprehensive report from Dr. Alexander van Straten. The report is really well put together. It was delivered in less than two days. Dr van Straten followed up with answers to a question I posed after receiving the report. The email was very clear and concise and he responded very quickly. I highly recommend Dr. Alexander van Straten. I received a detailed and informative explanation of my ct scan. The report was available earlier than stated which was appreciated. My questions were answered promptly and I will now act on the information given. I used this service recently for another scan and have been further impressed by the service given. I fully recommend this Dr. Prompt, courteous, detailed assessment. This information will be vital in getting the treatment I need. Thank You! Time course of diastolic and systolic function improvement after pulmonary valve replacement in adult patients with tetralogy of Fallot. Intrathoracic migration of a breast prosthesis after thoracotomy.